Our approach to dance pegagogy is a mix of humour and very systematic dance education, developed over our teaching years. Our purpose is to teach ANYONE to dance, and our method is tightly intertwined with Cuban culture: anecdotes from our Cuban trips, playing on Cuban instruments, insights into Cuban history and society, and learning a Cuban word or two. 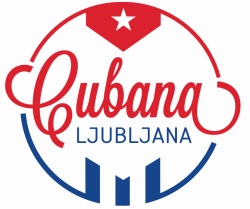 We are extremely focused on teaching Cuban style and attitude as part of the dance. Our aim is to transfer an authentic, true-to-roots experience, while at the same time acknowledging the evolution of dance over time. As Casino (cuban salsa) is a street dance, we are only strict where it matters, and allow you creative freedom otherwise. We do not see the point in teaching hundreds of moves and combinations. Our dance program focuses primarily on emotional expression, partner connection, and musicality. We believe in diversity of opinions and styles, and organize regular workshops with external teachers, and our yearly festival Manana Ljubljana. We are not a profit-focused organization. Our mission is to create the largest possible family of people who appreciate the same things as we do, and create a community of joy and happiness.